Providing easy, flexible and no-fuss recipes for nursing moms or anyone else with limited time to cook and special dietary needs. 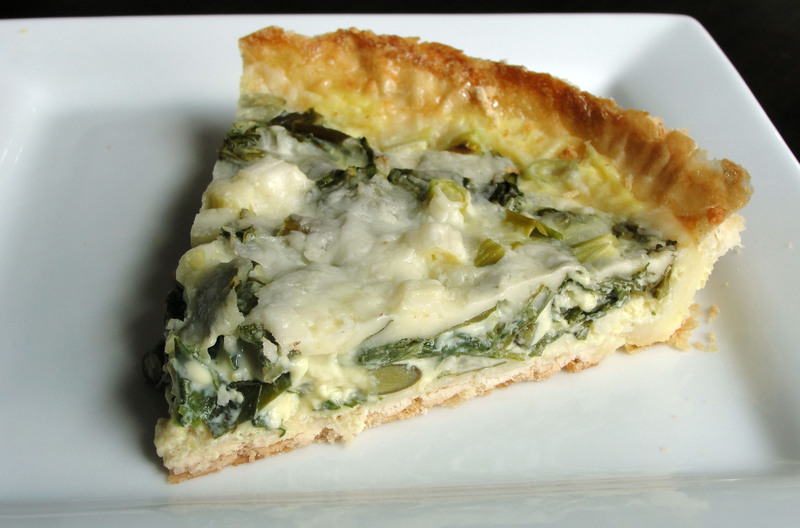 Gluten-free, dairy-free, and meatless are just some of the recipes you will find here. 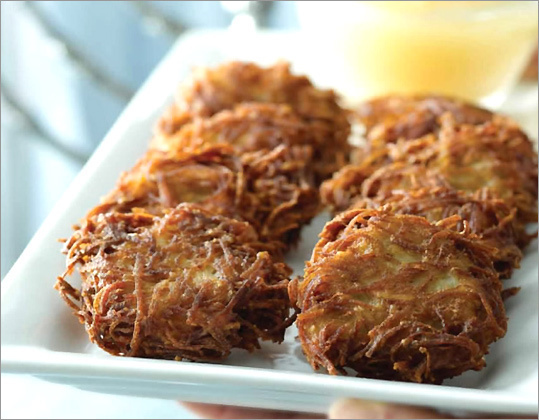 With Hanukkah here you have every excuse to embrace one of the best winter comfort foods there is: the potato latke. 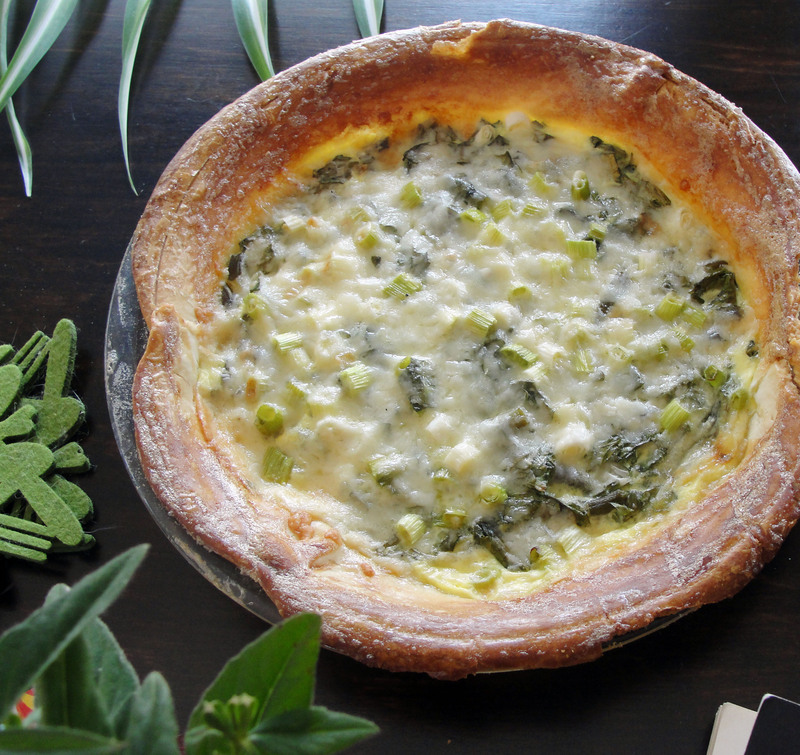 This is a flavorful twist on the traditional that is so easy to make. Turnips add a delicious bit of crunchiness and flavor. 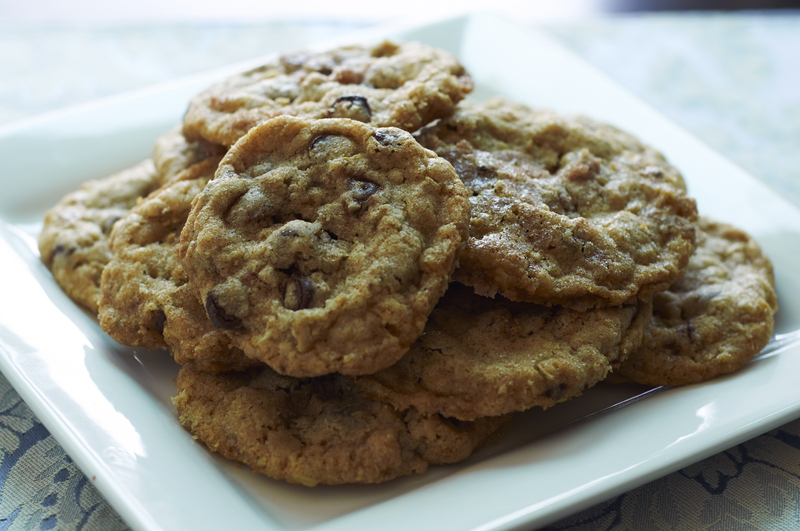 This recipe makes a manageable sized batch so you are not standing over the stove too long. But if you are having guests (or you’re really hungry) its easily doubled, or tripled. Grate the potatoes and turnips in a food processor. A box grater will work as well but a food processor is easier if you have one. Wrap them in a clean towel and squeeze to remove as much moisture as possible. Transfer to a bowl and toss with salt and pepper. Heat the oil in a large skillet over medium heat. Form potato mixture into tightly packed patties, place in skillet and flatten with a spatula. They should be less than an inch thick. Keeping an eye on how quickly they brown, cook about 10 minutes per side only flipping once. Transfer to a tray with a paper towel and sprinkle with salt. Serve warm with sour cream or applesauce. This entry was posted in Dinner and tagged cakes, hannukah, latke, pancakes, potato, turnips on December 16, 2014 by nursingmomscook. Another meal in a bowl. I love this chowder because it is so sooooo easy and can easily be adapted for any level of spiciness. If you are sensitive to spice, the chorizo itself will provide a little kick but if you like it hotter, add the red pepper flakes or a pinch of cayanne. If you are watching your waistline, you can use lowfat milk but of calories be damned, the heavy cream makes this wonderfully rich. I like the lime juice added which gives the chowder a fine complexity. Remove the casing from the chorizo. 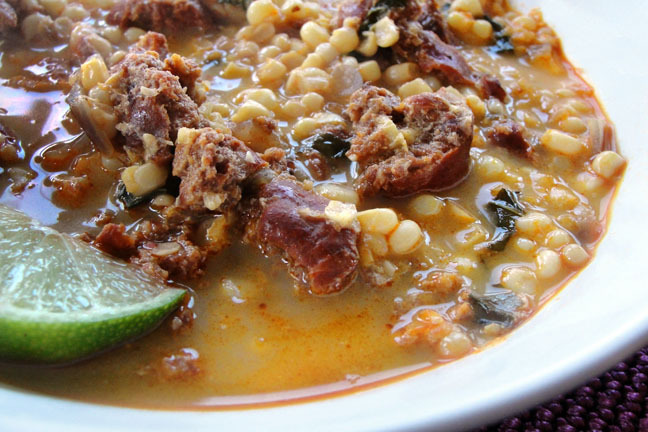 In a large saucepan over medium heat, cook the chorizo breaking it apart into smaller pieces with a wooden spoon. Add a little water, 1 tbsp at a time, to the pan if it seems like the pan is burning and turning black. Remove the meat from the pan and place it on a plate lined with a paper towel to absorb any excess grease. Wipe the pan clean with a paper towel. Add the chicken broth and the corn to the pan along with the chorizo. Bring to a boil and cook for 5 minutes, stirring occasionally, for about 5 minutes. Reduce to a simmer, add the cream and pepper, cook 2 more minutes. Ladle into bowls and top with onion, basil and lime wedges. This entry was posted in Uncategorized on April 17, 2014 by nursingmomscook. This entry was posted in Uncategorized on March 30, 2014 by nursingmomscook. “Mom, a muffin is sort of like a little cake, right?” This is what my 6 year old son asked as he took one of these sweet little muffins. Yes, they are very much like a little lemon cake with some blueberries in it and they are fabulous. Also, quite easy to make. Your breakfast table will thank you for it. I used frozen blueberries here. Dropping them into the dry mixture allows each berry to be coated so they don’t clump together. When I stirred the dry in with the wet ingredients the frozen blueberries created a lovely lavender hue in the batter. Preheat the oven to 375°. 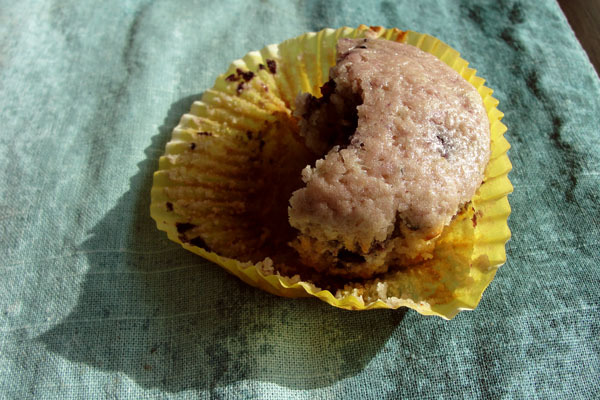 Butter a standard 12-cup muffin pan or use paper liners like I do. In a medium bowl, whisk the flour with the sugar, baking powder and salt. Stir in the blueberries. In another medium bowl, whisk the eggs with the milk, oil and lemon zest, then whisk in the lemon juice. Using a rubber spatula, fold the egg mixture into the flour mixture until blended; do not overmix. Spoon the batter into the muffin cups and bake for about 20 minutes, or until a toothpick inserted in the center of a muffin comes out clean. Let the muffins stand in the pan for 5 minutes, then carefully transfer them to a rack to cool slightly. Serve warm or at room temperature. 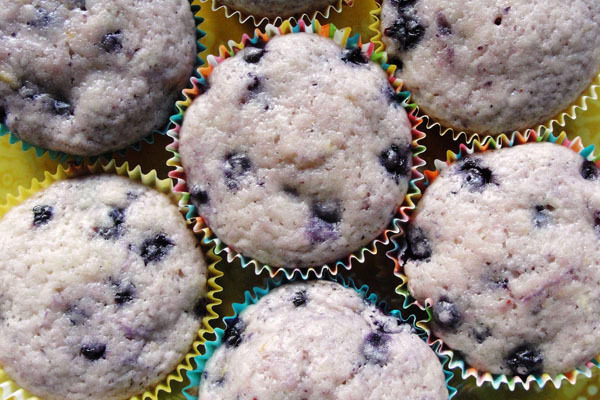 This entry was posted in Breakfast, Snacks and tagged blueberry, breakfast, lemon, muffins, snacks on March 25, 2014 by nursingmomscook. 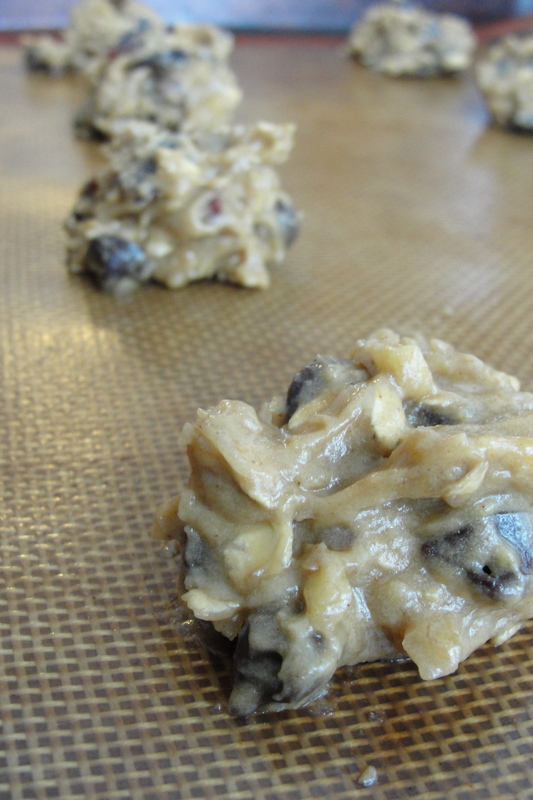 These cookies have the appearance of being healthy… they have nuts! And oatmeal! Despite the appearance of health, they still taste like a treat. 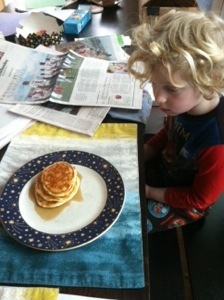 I will often add chocolate chips to them to make them even more fun and my son likes them better that way. The coconut can be a deal-breaker for some, though. 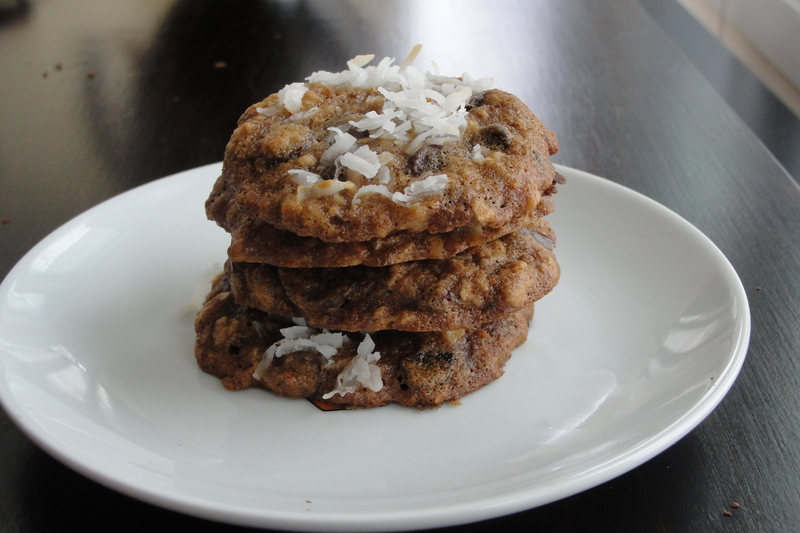 I tend to add it in to half the cookies after the dough has been spooned onto the cookie sheet in order to please both the coconut loving and the anti-coconut factions in my house. Here we have a double batch of dough. I recommend baking half the dough and putting the rest in the freezer for later. To do so, roll out a piece of plastic wrap. Using a spatula, spoon the leftover dough from the mixing bowl onto the plastic and work it into a long, log-like shape. Wrap it in more plastic and put it in the freezer. A few days or weeks later when you are ready to bake the frozen part, you can slice it with a sharp knife to make neat medallions. In a bowl, stir together the dry ingredients: flour, coconut, oats, baking soda, salt and cinnamon. In a mixer, cream the brown sugar and butter until fluffy. Add the banana and eggs and beat until blended. Stir in the flour mixture, about 1/2 cup at a time, then stir in the apricots and walnuts and chocolate chips. 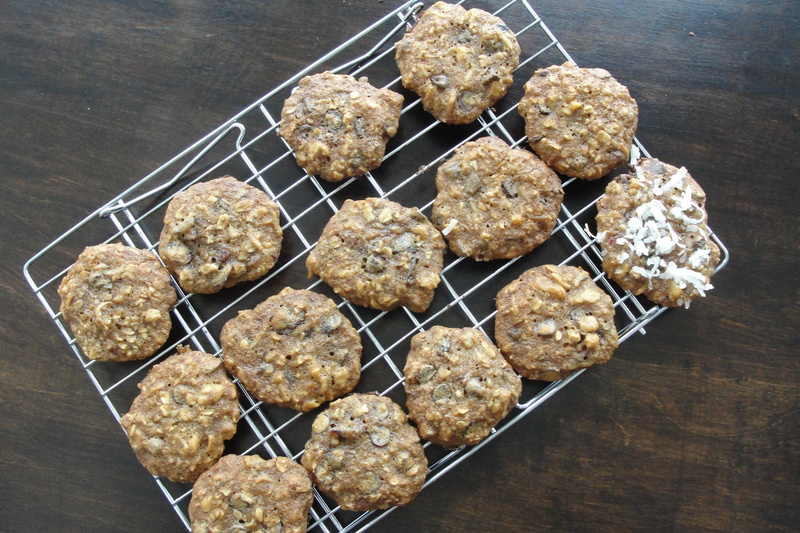 This entry was posted in Snacks and tagged banana, coconut, cookies, oatmeal, walnut on March 10, 2014 by nursingmomscook.